Cardamom seeds come in a green pod. If the pod is pale yellow then the pod would have aged and lost the green colour. It is always better to buy whole pods and grind the seeds as and when required. This will retain the flavour for longer. Cardamom or Cardamum is a spice which is used in almost every major dish prepared at home in the Indian subcontinent. Its intense aromatic flavour is used to bring out the best in both savoury and sweet dishes. It is popularly used to flavour tea. 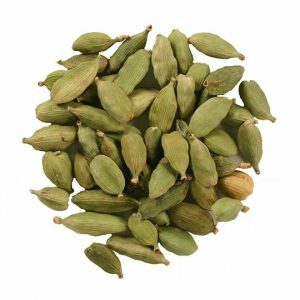 Many pulaos, biryanis and curries call for cardamom to be added whole, with the pod.